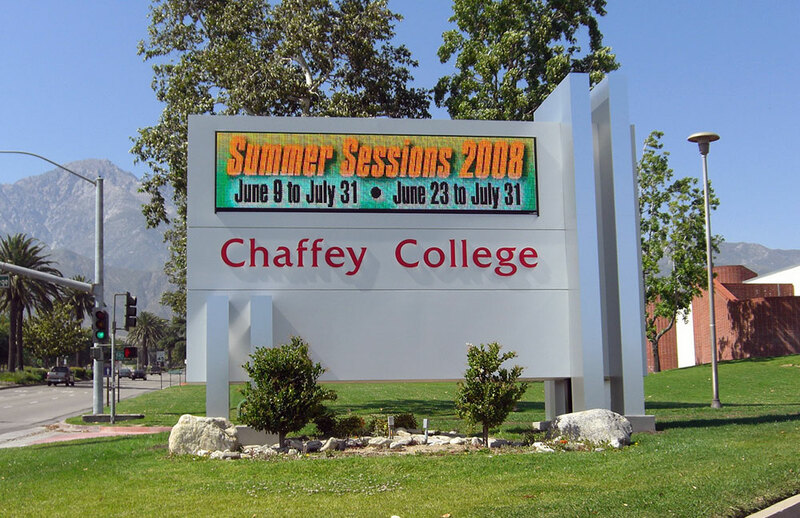 Chaffey College is a series of three separate community college campuses located throughout California. 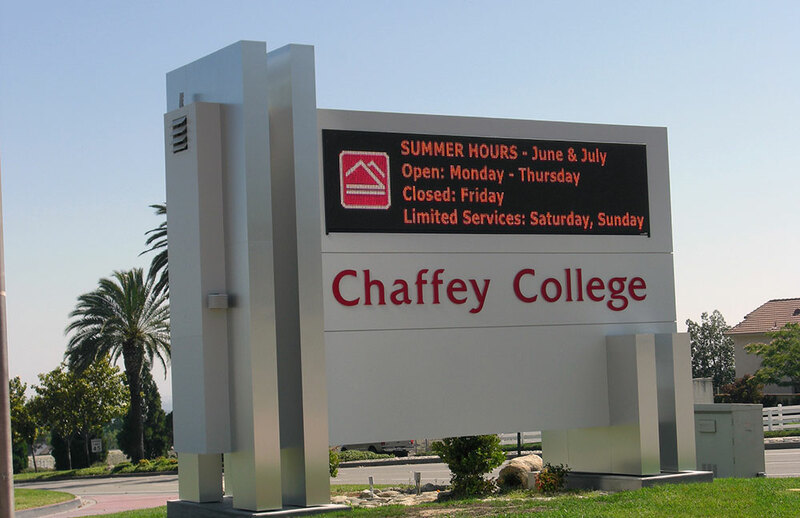 As a result of new construction of the campus, the College required a new refined and consistent system of signage. 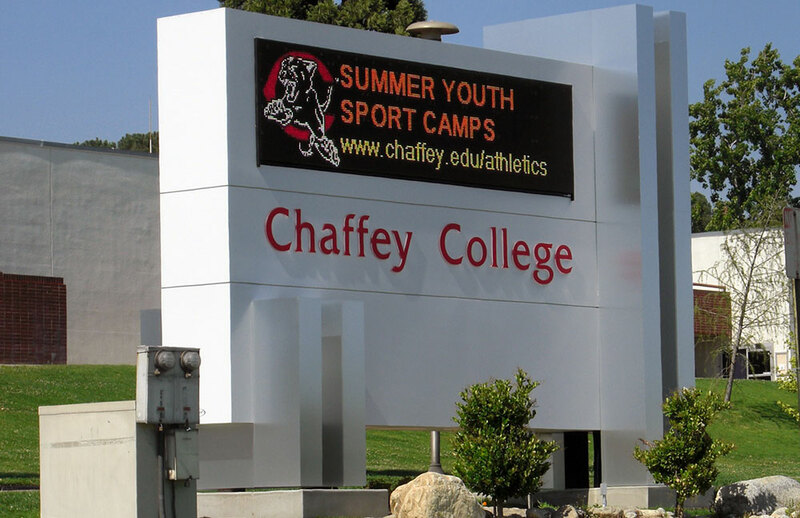 The first step in process was to develop a family of signage element to address pedestrian and vehicular circulation throughout the Rancho Cucamonga campus. The campus also required technology that would allow for a campus gateway sign to feature messages and events on the campus.